Gazpacho soup - for lunch on a hot afternoon! Everyone loves the summer, when the days are hot replace each other, do not want a heavy meal, and from the hot rolls in the heat, and there comes a kind of lethargy - especially in this weather is not navernesh borscht. 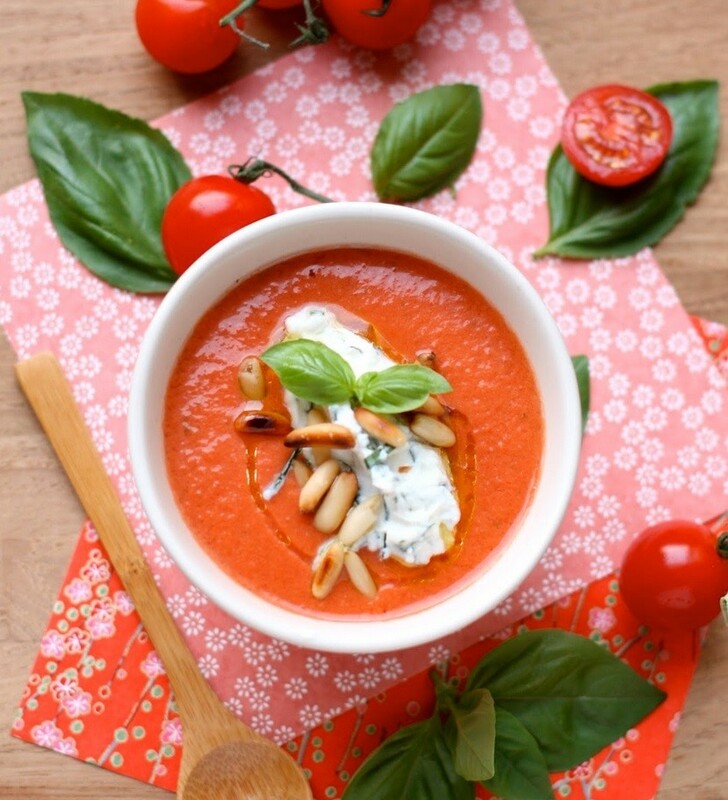 A refreshing gazpacho soup - that's the best lunch (and dinner!) On a hot day. The first time I tried it, as expected, in Spain. I confess, nothing special from the gazpacho I did not expect: a pier, what can surprise me tomato soup? Well, from the delicious Spanish tomatoes. My verdict: gazpacho - cooking required! ground black pepper - to taste. Pelt with tomatoes must be removed (before that can be scalded with hot water / hold it in boiling water for about a minute). The flesh cut into 4 part. Pepper (both) Clean the seeds of cucumber - from the skin, cut the vegetables (the size is not so important, they will be crushed blender). Bow before use, you must blanch - dip it in boiling water for 30 seconds, then remove and rinse with cold water. So you get rid of the bitter taste and peculiar smell, while maintaining the nutritional value and taste. In the bowl of a blender put cucumbers (chop 30-60 seconds), chopped stalks celery, blanched onions, then peppers, tomatoes (The order of the it is this: first, a more solid ingredients, then soft). At the end, add the olive oil, herbs, garlic, salt, spices and lemon juice. Beat 1-2 minutes until smooth (if the mass is very thick, add a little water). Yes, consistency gazpacho can be "smooth" and a creamy or very smooth with small pieces (that adjust to your taste). To decorate the gazpacho ricotta cheese (or cream cheese) mash with a fork. Finely chop the herbs and mix with ricotta (salt and pepper). Nuts little fry on a dry frying pan (30-60 seconds). It is also possible to apply gazpacho with a drop of olive oil, basil leaves, shrimp, and of course, sauce pesto (Highly recommend! ).